Rogue World Headquarters, Newport, OR (August 18, 2016) – Today Rogue Ales Brewmaster John "More Hops" Maier is brewing his 20,000th batch of Rogue beer: "20,000 Brews by the Sea". In May of 1989, John arrived in the small coastal town of Newport just in time to create brew #1. 27 years and 20,000 brews later, John still rides his bike daily over the Yaquina Bay Bridge to the brewery where he continues to create innovative brews that have garnered international acclaim. 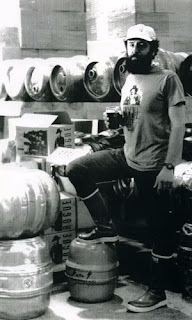 In classic John Maier fashion, 20,000 Brews by the Sea is not brewed to style but instead is described by John as a "complexity bomb" that honors this remarkable achievement. The beer uses 20 varieties of hops, 20 specialty malts, has a 20 year shelf life, will be brewed to 20 degrees plato, and will be bottle conditioned for 20 days. 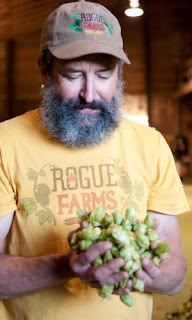 "20,000 brews by one Brewmaster is an unprecedented achievement in the craft beer world and all of us in the Rogue family are amazed by John's dedication, passion, work ethic, skill, creativity, and all around awesomeness," said Rogue President Brett Joyce. "This is a monumental brew in my career and I'm going to have a blast making it," prosted John this morning before he began to make 20,000 Brews by the Sea. 20,000 Brews by the Sea will be available beginning on October 20th in limited quantities at Rogue Meeting Halls.